Andrew Heming's Blog: Cheat Days? 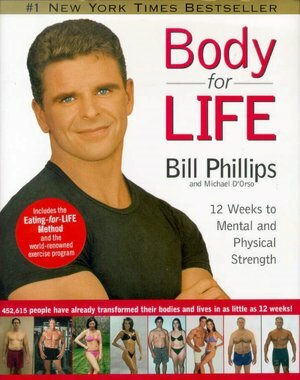 Back in 1999, Bill Philips’ book “Body-for-LIFE” hit the shelves. Plastered with before and after photos of everyday, out of shape men and women who now had abs and toned bodies, the book was a smashing success. One of Phillips’ recommendations in the book was to follow his meal template 6 days per week and then have a cheat day where you could eat whatever you wanted. While Bill Phillips was not the first to invent the cheat day, he definitely took it mainstream. So what’s up with cheat days? Are they “allowed”? Are they a fun, tasty way to a great body or are they a great way to sabotage your goals? Here are some things to consider regarding cheat days. 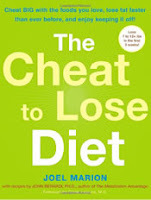 From a psychological perspective, cheating allows a break from strict eating. However, this can be positive or negative. For some, it gets the cravings out of their systems and helps them get back on track with their nutrition program. For others it turns into a cheat weekend, then a cheat week and then a month-long nutritional nightmare before the individual gets back on the fat-loss band wagon. It is important to consider if one is a beginner or advanced. A beginner with high body fat levels, taste buds that are still spoiled from typical North American “food”, no concept of what hard training is and eating habits that are a long way from effective fat loss eating is less likely to benefit from cheating. However, an advanced individual who is already quite lean, has re-trained his/her taste buds, who consistently trains very hard and is truly eating clean almost all the time may find a cheat meal or two a welcome break that keeps things rolling. How is the person wired psychologically? If they are an intense, type-A, all-or-nothing person, they may do well with the super strict eating with planned cheats. However, most people do better in the long run by gradually progressing into better eating habits and there will not benefit from cheat days for quite some time. Did the person really earn a cheat meal? Many people are eating cheat foods and following poor dietary practices on a daily basis. If they decide to add a cheat day to the mix it will end up as a massive sabotage day and the end of a failed week. Most people who are at a more beginner level with their nutrition should be focused on a gradual progression to more healthy and appropriate food choices. Cheating does not mean throwing out common sense. I have heard some interesting stories over the years of what people have eaten on their cheat days. I knew a guy at a gym I used to work for who polished off an entire Black Forrest cake on his cheat day. This type of a binge is hard on the body and too much cheating will sabotage one’s results. Also, some foods are downright nasty for you. For example: it is not healthy for anyone to slam back loads of pop, candy or transfats from the deep fryers at the fast food joints. If one is going to cheat, at least eat real foods (e.g. quality Italian restaurant, Belgium chocolates… I better stop now). When looking for a cheat food, it is important to distinguish between a desire for a particular food and a food addiction. If one has a true food addition, they need to come off of it cold turkey – just like with an alcoholic. For most people, a cheat meal here and there would be better than an entire day of cheating. Nutrition expert Dr. John Berardi allows his clients treat themselves with 10% of their meals. That means if someone is eating 6 meals per day, 7 days per week, about 4 of the total meals per week do not have to be perfect and he/she should still be okay. Another common number that is often thrown out is the 80/20. While I like this concept, I think the 90/10 rule is much better for those looking to get great results. A better approach than a binge day is to zig-zag carbs and calories. Dr. Fred Hatfield was one of the pioneers of this concept back in the 1980’s. For fat loss, you follow a lower carb and calorie nutrition program for 3-5 days, and then increase the calories and carbs for 1-2 days and repeat. With this approach, one can emphasize healthier carbs (e.g. brown rice, sweet potatoes), but still have some tastier treats in moderation. The big question with any training or nutrition program is, “does it work for a particular individual?” Just because someone was able to lose fat while binging once a week doesn’t mean that someone else can. The bottom line is to determine what's best for your health and your results. I found this pretty helpful. I like how you mention that cheat days shouldn't be terrible foods that are fried and filled with sugar, but more so the cheat foods are almost a delicacy from your diet. Cool post! Thanks Justin. If you are going to treat yourself occasionally with these foods, that's fine. But if you are slamming them back on a weekly basis your health may suffer - even if your waist-line doesn't. This is a great post, Andrew. You've highlighted a number of really important considerations, variables, factors, and guidelines that, I believe, corroborate people's experiences. It has taken me years to finally gain control over my addiction to sweets. For me, the weakness has always been chocolate. I cycled from abstinence to binging on chocolate in my college years. I've finally decided that I can't abstain and stay sane (and it's why even one "transgression" led to a pendulum swing!). I allow myself to have some chocolate now, but it can't be every day, the portion is limited, and it has to be "high quality." No cheap chocolate bars with high amounts of high-fructose corn syrup, etc. And actually, ever since I began including chocolate flavoured protein powders, it has helped me stave off intense cravings. So I try to get my chocolate fix by making a really healthy chocolate-flavoured Vega smoothie/shake, and I make my own fruit- or date-sweetened protein snacks using cacao and chocolate protein powder. And yes, I have to make sure I don't overdo it on these either, but channeling all this desire for chocolate in a healthier way. No massive black forest cake for me!! Great point Vesna about the high quality chocolate. In addition, some chocolate lovers find that adding some cocoa powder to shakes also helps.